When: Sat., May 25, 5:30-10 p.m.
Water Lantern Festival is filled with fun, happiness, hope, and great memories that you'll cherish for a lifetime. This is a family friendly event that can be shared by everyone. Friends, families, neighbors, and lots of people that you haven't met can come together to create a peaceful, memorable experience. 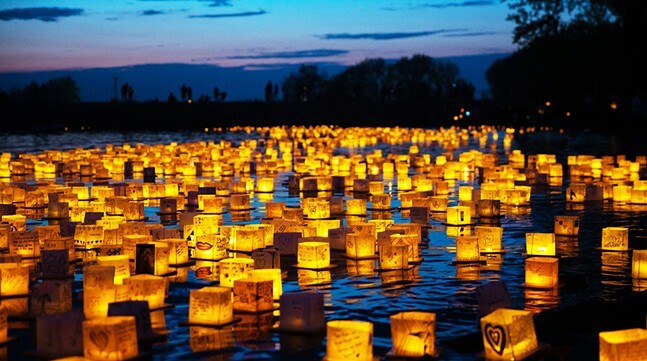 Enjoy food trucks, music, and the beauty of lanterns lighting up the water at sunset. Reserve your lantern kit today at Waterlanternfestival.com!